On Saturday, March 7th, Realm will host a very special fundraiser for A Child's Place. 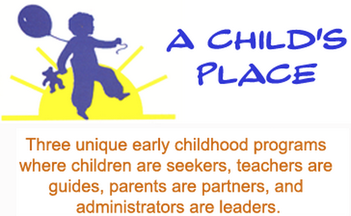 A Child's Place is a non-profit childcare and educational organization with a long tradition in the greater Westport community. This fundraiser is held once every two years and plays a crucial role in the school's ability to continue to provide such a quality level of care for families in the area. The theme for this year's event is "Too Cool For School," a tongue-in-cheek homage to the fun aspects of education. Realm is happy to donate our showroom and time, and will be featuring a highlight reel of the greatest school-related movies throughout our design center while attendees enjoy the rest of the night's festivities. Attendance is by invitation only, but A Child's Place invites anyone interested in their organization to reach out for more information. The Realm Experience Center is located at 140 Water Street, South Norwalk CT, 06854. "Too Cool For School" fundraiser for A Child's Place at Realm Experience Center on Saturday, March 7th, 2015. By invite only.